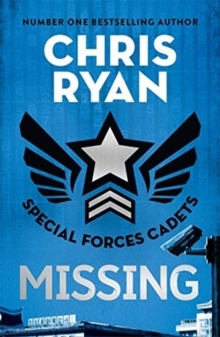 From the bestselling author of STRIKE BACK, Chris Ryan returns with the second in his new action-packed series. Tough enough? Smart enough? Max will require all his skills just to stay alive as a Special Forces Cadet . . . In this second book, the cadets are sent to North Korea. A British agent investigating the rogue state's nuclear capabilities has gone missing. The secretive nature of life in Pyongyang means that unfamiliar adults would be attract suspicion and fall under immediate surveillance. So the cadets form part of a young pioneers tour to the North Korean capital. Once there, they must use their skills and training to find out more about the missing agent. In the course of their investigations, they forget the one rule every undercover operator must obey: trust nobody. When a local teenager they befriend betrays his suspicions to the North Korean secret police, the young cadets must use all their skill to escape the authorities and the country. But can they locate the British agent at the same time?